This year Lifebox officially turns five! And we’re so excited to celebrate this landmark milestone with our friends around the world. Born in answer to the growing global health crisis of unsafe surgery, Lifebox was founded in 2011 by experts and organisations committed to making a difference. Taking the life-saving WHO Surgical Safety Checklist as our guiding principle, we’ve spent the last five years building a global network that spans more than 100 countries. We’ve facilitated distribution of more than 10,000 pulse oximeters, trained thousands of providers around the world, and built a voice for safer surgery and anaesthesia stretching from the OR table to the ministry of health and beyond. We’ve come a long way and we wouldn’t be here without the amazing support of our colleagues, donors, friends and partners. So we’re inviting you all to our fifth birthday party! 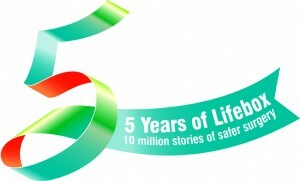 5 years of Lifebox: ten million stories of safer surgery. To join in the celebrations, look out for our anniversary events this year. 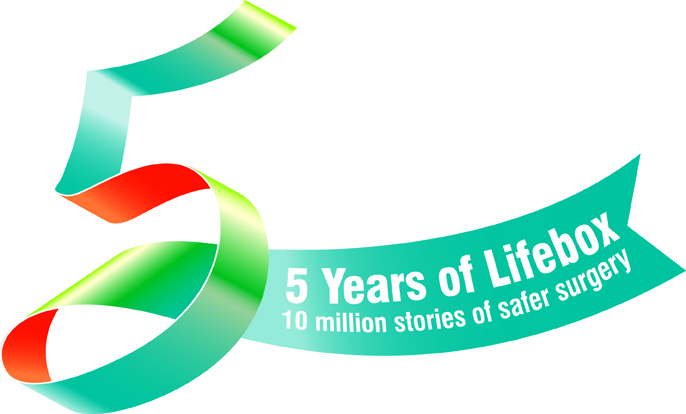 Follow the hashtag #LifeboxTurns5 on Twitter, Instagram and Facebook for more updates, and share your #safersurgery stories too. We’d love to hear from you!